Feldman, V, Guzman Paredes, C.A, & Vempala, S. (2015). 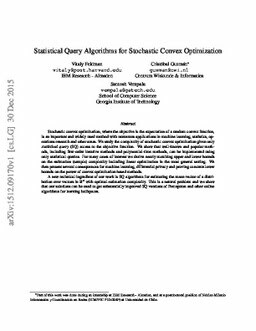 Statistical Query Algorithms for Stochastic Convex Optimization. arXiv.org e-Print archive. Cornell University Library .